Original painting by award winning artist Tom Chesar - Oil on Hardboard Image Size: H 16"x W 12" This painting absolutely glows and is also available as a print (see below) A perfect gift for the holiday season. 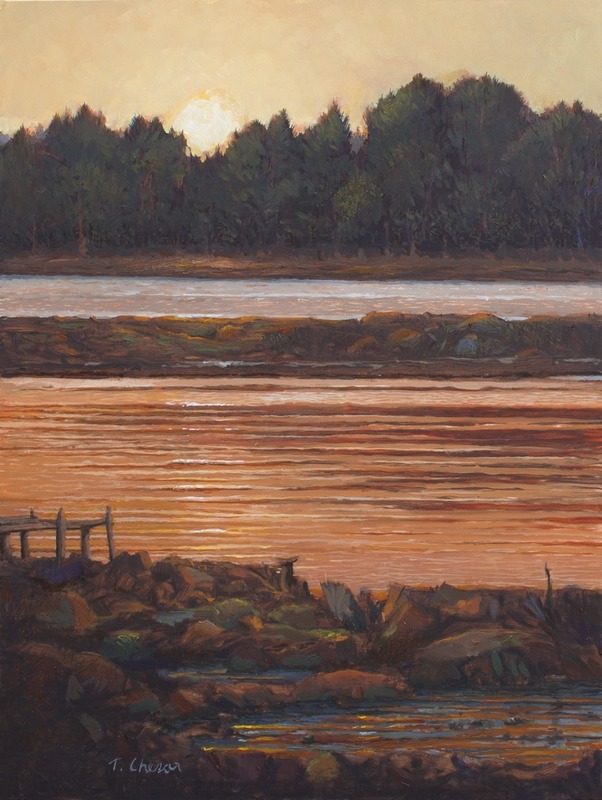 Artist Notes: The strata of reflected colors are stunning as the sun sets at Ash Point in Maine. Nature becomes the orchestrator of pure color arrangement. 12" x 9"14.5" x 11"16.75" x 12.5"